I’m in LA for a few days and would love to hit some recordstores. Any recommendations for a house/techno joint? probably Mt. Analog is where you’ll want to go. I think it’s still there. Figueroa St in Eagle Rock which might be a little out of your way depending on where you are. 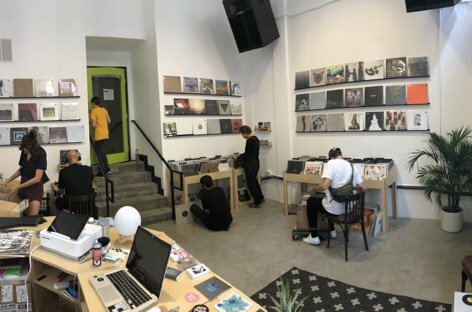 Only record store I visited in LA was this place called Origami Vinyl… it was my first record store I’ve ever went to but the selection there is super basic so I don’t really recommend it. +1 on Amoeba. Never been there but I always hear good stuff about it. ive always wanted to check out Artform, Adrian Younge’s record store / barber shop on Fig near Stones Throw, from what ive heard more of a salon/art space with wax on the side, big emphasis on funk/soul/hiphop but might be a type of space to get the good word on what you’re seeking…word from reviews is that its pretty boutique (read: overpriced represses and cool chasing scenesters) but its LA so things evolve quickly and internet echos are never reliable…anyone else been there? oh yeah, that place is fantastic…absolutely correct on the soul/funk/hiphop focus (+coffee table books/knickknacks) but it’s worth checking out for sure. unless it moved, it was down in the art district downtown. Gonna be in LA for the most part of the next 4/5 weeks who’s out here where should I go what’s bubbling up 2019 style!? Might check out nd_bauecker tomorrow night. Noise Revolt shows looks awesome. I wanna say that Respect has been going on for years (possibly decades now), maybe one of the biggest dnb monthlies in the US, in fact…I remember the flyers and they’d always be bringing in big time heavyweights. Yeah theyve been at it for 16 years. In LA particularly there are lots of kids, myself included, that went from Dubstep to Dirtybird to MoonTribe/DrumNBass/Haltime…its a big scene with lots of energy right now, fun times. SF has Stamina on Sundays which is 8 years deep, smaller but a more dedicated dancefloor for sure. And really good residents. Saw DJ Dara there 2 Sundays ago and it brought out some older heads which was rad, but the residents were throwing down just as hard as him. nice, will def check Stamina when I’m in SF later in March! plus its free! have fun!